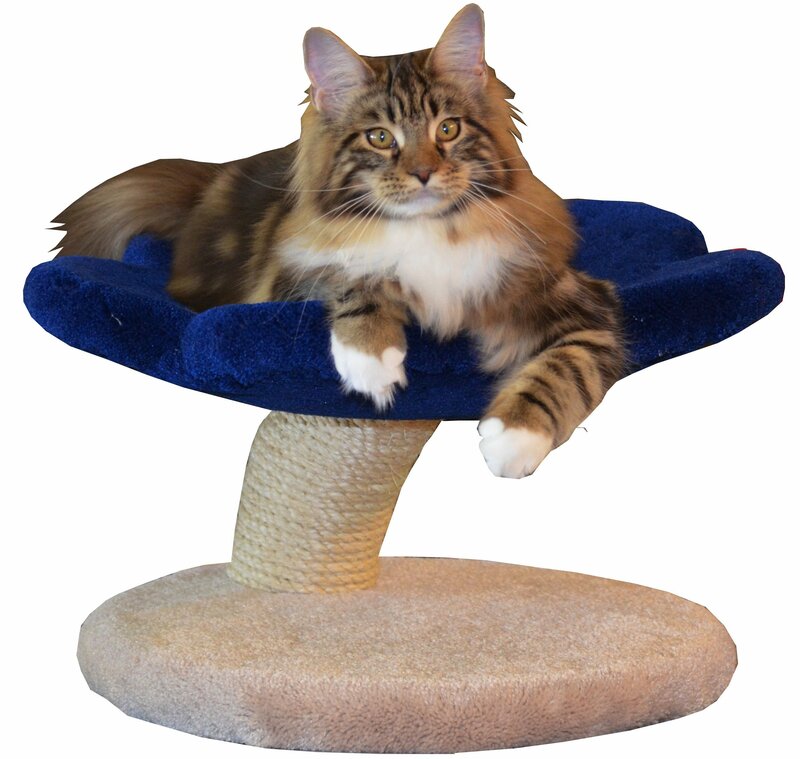 The Compact Stratus Cat Tree is very similar to the Stratus Cat Tree except it has a straight post, leaves and a smaller base. This makes it more suitable for confined spaces. Options available are a Small Flower on top, large round dishes in replacement for the leaves (choose the upgrade under large levels) as well as primary colour, base colour or wood finish and top colour. It is 5 feet tall with 5 levels and is available in a taller 6 feet version.